The guys at All Jersey moved Blue Parachute into their new space. They were great! Moving with children can be challenging for the whole family. Not only is moving with children a lot of work, but it’s also difficult to start over in a different community, school or workplace. If you moving with children in the near future, there are two major things you may want to think through. For one, kids tend to have a lot of stuff. Not only do you have to organize and move your own and the family’s items, but making sure that the children’s rooms are organized and packed properly is important and time consuming. Secondly, moving can be more traumatic for kids and should be talked though with them, period. There are good ways to approach moving with children to help them feel excited for a new change rather than stressed about it. 1) Use this opportunity to get rid of stuff: This is a great time to get rid of clutter. Throughout your home, there’s bound to be a plethora of things that you should leave behind. Get the kids to help you go through the house, room by room, to identify what you should keep and what can be tossed or donated. Meaningful items are okay to keep of course, but things like toys, clothes or electronics that are no longer used on a weekly basis, should be let go of. 2) Plan a moving sale: There’s no question that kids love earning and making money. This is a great opportunity for them to help you organize a moving sale. They can sort through everything, inventory it and then tag it. Maybe use the proceeds from the bigger items for the family as a whole and then the proceeds from the kids’ items can go to them. 3) Create a checklist and delegate: Making lists always helps ensure things get done. 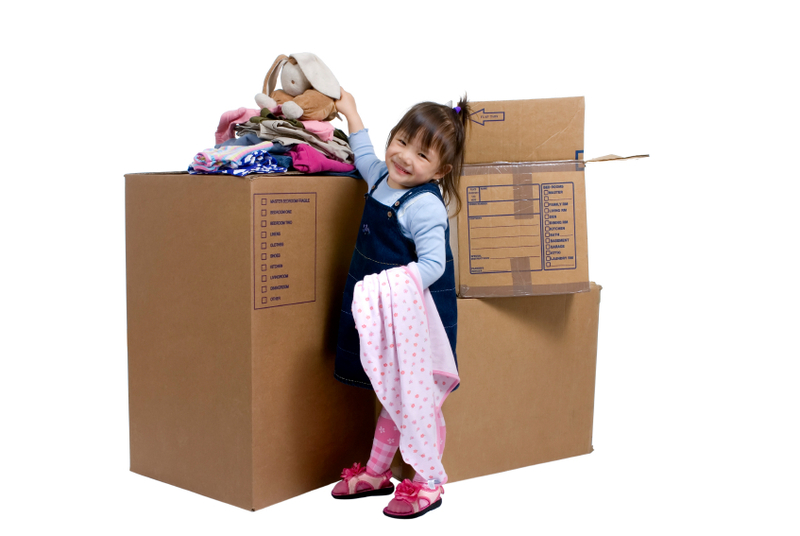 Delegate the simple tasks that your kids can help complete, like packing their toys and clothes. 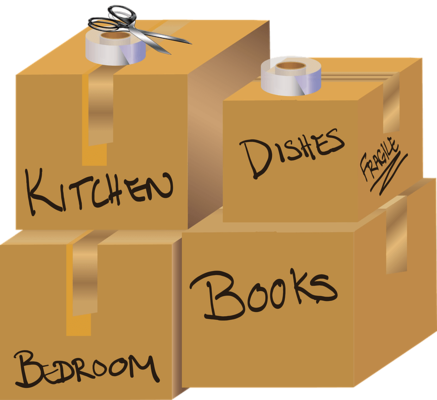 4) Plan each room out: Knowing where to unpack certain things and where to tell the movers to put big furniture is key. Not only is this great for maximizing space, but kids might be more excited about the move if they feel like they are a part of the planning process too. Also be sure to label everything clearly, even write on the outside of a box or on a list what is inside. This will greatly help the unpacking process. 1) Have a family meeting: Make it informal and relaxed, but sit your family down and tell them why you’ve decided to move and what it means for everyone. Talk about how you feel about the move and encourage everyone to express their feeling and concerns. Maybe share your first moving experience and talk about why moving can be a really positive experience for the whole family. 2) Get the kid’s input on the new home: Try to involve your children in the selection process or at least make them feel like their say is important. Get their feedback on which homes/areas they like best and celebrate once ou’ve made the final decision. Maybe take them to the new home before the move so they can better visualize their new surroundings. 5) Know your new surroundings: Try to learn as much as possible about your new home, surroundings, community and town. This way you can share with your kids what they can look forward to. Encourage your kids to do their own research in an effort to try to find activities they may want to be a part of. 6) Host a “See You Soon” party: One of the hardest things for anyone moving away is having to say goodbye to friends. Children are no different. Seeing as everyone loves a party, you might consider hosting a party for your kids and their friends. Make sure that they all have each others’ contact information and maybe speak with parents about future visits. Consider All Jersey Moving & Storagefor your next great move. We are a top-rated NJ mover located in Somerset County. We are residential movers, commercial movers, office movers, and well-known piano movers. We are the mover of choice, if you’re moving anywhere in between Washington, DC and Boston, MA and want direct service. Contact us today for your free moving quote.